If you don’t have to struggle with the choice between a hot tub and a swimming pool then things are looking pretty good for you but for the majority of people being able to have one would be a luxury. Choosing between a hot tub and a swimming pool though can be difficult, especially if you haven’t got the advantage of being able to recall experiences in both. 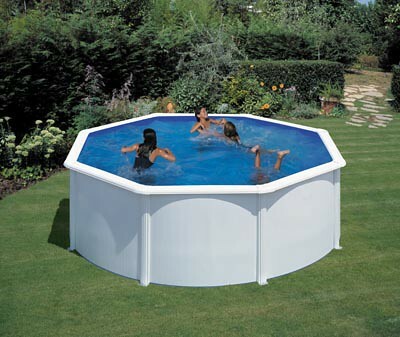 A lot of people think that a hot tub and swimming poolare very similar and that one’s just smaller than the other, this isn’t the case though, they are actually both very different. 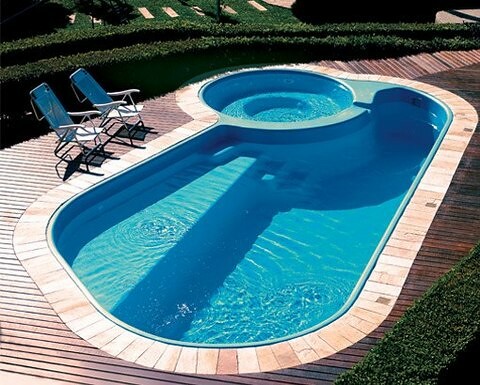 A pool is a lot bigger than a hot tub which in some respects is a huge advantage but in others it’s a definite disadvantage. The fact that a pool is large means that it’s great for exercise, fun and games for all the family and it’s a great venue for parties. However, its size means that you’re giving up more of your land – which is you have a lot isn’t a problem – and it’s likely to cost more too. If you choose to invest in a swimming pool then the whole family is guaranteed to be able to use it at the same time, you can purchase waterslides, inflatables and diving boards and there’ll still be enough room for a relaxing swim. In a hot tub on the other hand there’s probably only enough room for five or six people comfortably, which is fine if there won’t be many people using it and you want to minimise the garden space that you’ll be losing but as opposed to a pool, a hot tub is purely for relaxation. The intention is to sit in it on a freezing night in the middle of winter with a glass of your favourite wine and relax whereas if you choose to have a pool built then you can relax, have fun, throw a party or do exercise as and when you want to. The cost is another thing to think about when you’re considering whether or not a pool or a hot tub is the right choice for you. Although the maintenance costs of the two are very much the same the initial costs can differ massively. If you choose to have a pool built then you’re looking at anything from around £20,000 upwards whereas hot tubs can cost anything from around £3,000 up to around £20,000 depending on the size and functions. 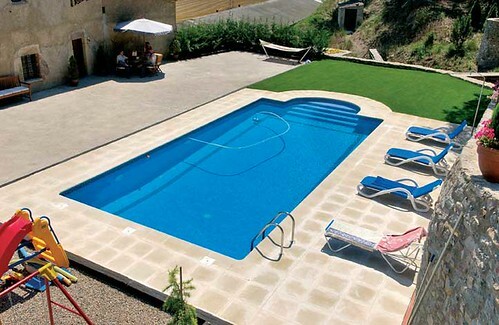 The choice between the two should definitely depend on how you’ll use it but if you’re looking for somewhere you can relax, entertain and have fun with the family then a swimming pool is definitely the choice for you. Gemma Lyons has quite a large garden but had struggled to decide between a hot tub for the adults and a swimming pool for the whole family until she contacted build-your-pool.com and saw how a swimming pool could improve her entire garden.